Blog posts have been scarcer for the past couple of months because I’ve been so engaged with a major responsibility: putting together what amounts to 7-1/2 days of conference programming that will be presented on four days next month in New York City. As most readers of this blog probably know, we’re responsible for the programming of the two-day extravaganza that is Digital Book World. DBW 2013 — taking place on January 16 and 17 at the Hilton New York Hotel — will be the fourth iteration of the event, which aims to explore the commercial challenges facing trade publishing in the digital transition. DBW is not about technology per se; it is about the business problems publishers must cope with in an age of technological change. DBW’s main two days are divided between morning plenary programming — all 1500+ people in one big room — and afternoon breakouts. We’ll have up to five simultaneous breakout sessions in each of three slots each day. So we have what amounts to 4-1/2 days of programming in the breakouts plus one on the main stage. Programming the “Children’s Publishing Goes Digital” show revealed what we think will be the most important theme in the children’s book space for the next few years: the development of digital “platforms” that, like subscription offerings (which some, but not all of them, clearly are), will “capture” consumers and make them much less likely to get ebooks and other digital media from outside of it. The list of platform aspirants in this space is long and varied: Storia from Scholastic; RRKidz from Reading Rainbow (the TV show brand); Poptropica from Pearson (which launched Wimpy Kid before it was a book); Magic Town; Disney; Capstone; and Brain Hive. All of them are presenting, as well as NOOK, which, like Amazon Kindle, has announced parental controls on its platform that encourage parents to manage their kids’ reading experience there. There are other big issues in children’s publishing, particularly the creation of original IP by publishers so they can better exploit the licensing opportunities that follow in the wake of successful kids’ books. We’ll have data presentations from Bowker and from Peter Hildick-Smith of Codex to help our audience understand how kids books are found and selected outside the bookstore in today’s environment. But we know that the digital discovery and purchase routines will be markedly affected by the platforms as they establish themselves. Publishers are faced with an interesting conundrum. They can’t reach the audiences that are loyal to a platform without going through the platform. But it is the presence of many publishers’ books that strengthens the attraction of the platform and, once it gains critical mass, the value of the content to it (and probably what it will be willing to pay for the content) is reduced. So publishers licensing content to these platforms may be strengthening beasts that will ultimately eat them. I think the roundtable conversation Lorraine and I will lead at the end of the day, which will include publishers Karen Lotz of Candlewick, Barbara Marcus of Random House, and Kate Wilson of Nosy Crow, will have interesting things to say about that paradox. We’ve developed some “traditions” in the four years we’ve been doing Digital Book World. As we’ve done the past two years, the plenary sessions will open on Tuesday with the “CEOs’ view of the future” panel organized and moderated by David Nussbaum, the CEO of DBW’s owner F+W Media and the man who really dreamed up the idea of this conference. David will be joined this year by Marcus Leaver of Quarto, Karen Lotz of Candlewick, and Gary Gentel of Houghton Mifflin Harcourt. And Michael Cader and I will — as we have every year at DBW — moderate a panel to close the plenaries, “looking back and looking forward” with agent Simon Lipskar of Writers House; Harper’s new Chief Digital Officer, Chantal Restivo-Alessi, and Osprey CEO Rebecca Smart. Among the presenters on the main stage who will be unlike what our audiences usually hear at a digital publishing conference will be Teddy Goff, the digital director for the Obama campaign, who will talk about targeting and marketing techniques that might serve us well in the publishing world; Ben Evans of Enders Analysis in London, who will tell us how publishing fits into the strategies of the big tech companies (Amazon, Apple, Facebook, Google, and Microsoft) that he tracks regularly*; ex-Macmillan president and now private equity investor Brian Napack, talking with Michael Cader about the investment climate in publishing; and Michael D. Smith, Professor of Information Technology and Marketing from Carnegie-Mellon, talking about a study he and his colleagues have done on the real commercial impact of piracy. Some authors have had remarkable success without help from publishers in the past year, but few or none more than Hugh Howey, the author of “Wool”, who has just signed a groundbreaking print-only deal for the US with Simon & Schuster. His dystopian futurist novel has sold hundreds of thousands of self-published ebook copies and rights all over the world and to Hollywood. We’ll have a chat with Howey about how he did it and we’ll be joined by his agent, Kristin Nelson, for that dialogue. Kristin will stick around to join a panel of other agents (Jay Mandel of William Morris Endeavor, Steve Axelrod, and Jane Dystel from Dystel & Goderich) to talk about “Straddling the Models”: authors who work with publishers but are also doing some things on their own. We will have several panels addressing the challenges of discovery and discoverability from different angles. One called “Closing the New Book Discovery Gap” teams Patrick Brown of Goodreads with three publishing marketers — Matt Baldacci of Macmillan, Angela Tribelli of HarperCollins, and Rachel Chou of Open Road — and is chaired by Peter Hildick-Smith. That will focus on what publishers can do with metadata and digital marketing to make it more likely their titles will get “found”. Barbara Genco of Library Journal will share data on library patron behaviors and then helm a panel discussion with Baker & Taylor, 3M, Darien Public Library, and Random House exploring the role of libraries in driving book discovery and sales. Another session called “Making Content Searchable, Findable, and Shareable” introduces three new propositions from Matt MacInnis of Inkling, Linda Holliday of Citia, and Patricia Payton of Bowker, along with SEO expert Gary Price of INFODocket. Publishing veteran Neal Goff (who is also the proud father of Obama’s digital director) will moderate that one. MacInnis, Holliday, and Payton offer services that will help publishers improve the search for their books. Price will talk knowledgeably about how the search engines will react to these stimuli. We’re covering new business model experimentation (with Evan Ratliff of The Atavist, Brendan Cahill of Nature Share, Todd McGarity of Hachette, and Chris Bauerle of Sourcebooks) where publishers discuss ways to generate revenue that are not the old-fashioned ones. We’ll underscore the point that we’re about changes caused by technology rather than being about technology with our “Changing Retail Marketplace” panel, featuring publishers and wholesalers talking about the growth of special sales (through retailers that aren’t bookstores and other non-retail channels). The future for illustrated books will be discussed by a panel with a big stake in how it goes: John Donatich of Yale University Press, Michael Jacobs of Abrams, Marcus Leaver of Quarto, and JP Leventhal of Black Dog & Leventhal. Two publishers who have invested in Hollywood — Brendan Dineen of Macmillan and Pete Harris of Penguin — will talk about the synergies between publishing and the movies with consultant Swanna McNair of Creative Conduit. We will have major US publishers and Ingram talking about exports: developments in the export market for books — print and digital. And we’ll have some non-US publishers joining Tina Pohlman of Open Road and Patricia Arancibia of Barnes & Noble talking about imports: non-US publishers using the digital transition to get a foothold in the US market. 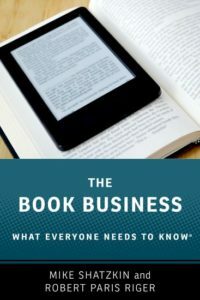 One session I think has been needed but never done before is called “Clearing the Path” and it is about eliminating the obstacles to global ebook sales. That one will start with a presentation by Nathan Maharaj and Ashleigh Gardner of Kobo where they will enumerate all the contractual and procedural reasons why ebooks are just not available for sale in markets they could reach. And then Kobo will join a panel conversation with Joe Mangan of Perseus and agent Brian Defiore to talk about why those barriers exist and what might be done in the future to remove them. Oh, yes, there’s much much more: audience-centric (what I call “vertical”) publishing; the changing role of editors; the evolving author-publisher relationship; and a conversation about the “gamification” of children’s books. David Houle, the futurist and Sourcebook author who wowed the DBW 2012 audience, will return with his Sourcebooks editor, Stephanie Bowen, to discuss their version of “agile” publishing: getting audience feedback to chunks before publishing a whole book. We will also do some stuff that is more purely “tech”. We have a panel on “Evolving Standards and Formats” discussing the costs and benefits of EPUB3 adoption, which will be moderated by Bill McCoy of IDPF. Our frequent collaborator Ted Hill will lead a discussion about “The New Publishing IT Department”. 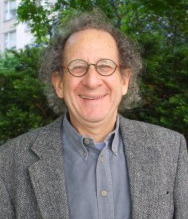 Bill Kasdorf of Apex will moderate a discussion about “Cross-Platform Challenges and Opportunities” which is about delivering content to new channels. But purely tech is the exception at Digital Book World, not the rule. And purely tech won’t show up at all at Authors Launch on Friday, January 18, the day after Digital Book World. Authors Launch is what we think is the first all-day marketing seminar aimed squarely at authors with a publisher, not authors trying to work without one. It is pretty universally taken as a given that authors can do more than they ever have before to promote themselves and their books and that publishers should expect and encourage them to do that. But, beyond that, there is very little consensus. What should the publisher do and what should the author do? That question is going to be addressed, in many different ways, throughout the day. The Authors Launch program covers developing an author brand, author involvement and support for their book’s launch, basic information about keyword search and SEO, use of metrics and analysis, a primer on media training, when and how to hire a publicist or other help, and a special session on making the best use of Goodreads. We’ll cover “audience-centric” marketing, teaching authors to think about their “vertical” — their market — and understand it. The faculty for Authors Launch includes the most talented marketers and publicists helping authors today: Dan Blank, co-authors MJ Rose and Randy Susan Meyers, journalist Porter Anderson, David Wilk, Meryl Moss, Lucinda Blumenfeld, agent Jason Allen Ashlock, and former Random House digital marketer Pete McCarthy. We have assembled a group of publishers and an agent to discuss how an author should select the best places to invest their time from the staggering array of choices. (Facebook, Twitter, YouTube, Pinterest, etcetera.) That panel will include agent Jennifer Weltz of The Naggar Agency as well as Matt Baldacci of Macmillan, Rachel Chou of Open Road, Rick Joyce of Perseus, and Kate Stark of Penguin. Matt Schwartz, VP, Director of Digital Marketing and Strategy for the Random House Publishing Group, will conduct the session on metrics. A feature of both our Kids show on Tuesday and the Author show on Friday are opportunities for the audience to interact with the presenters in smaller groups so each person can get his or her own questions answered. At Kids we’ll do that at lunchtime, seating many of our presenters at tables with a sign carrying their name so our attendees can sit with them and engage. At Authors Launch, we’ll be conducting rounds of workshops, crafted so that the authors can get help in their own vertical (genre fiction, literary fiction, topical non-fiction, juvies, and so forth), and on the topics of greatest need for them. We are sure the week of January 15-18 will prove to be an energizing and stimulating one for all of us living in the book publishing world. We hope you’ll join us.